It is a sad day in the world of Football as it was announced that Hall of Fame Lineman Forrest Gregg passed away at the age of 85. Playing his college ball at SMU, Gregg was drafted in the second round by the Green Bay Packers in 1956 and he would become a key anchor for coach Vince Lombardi. 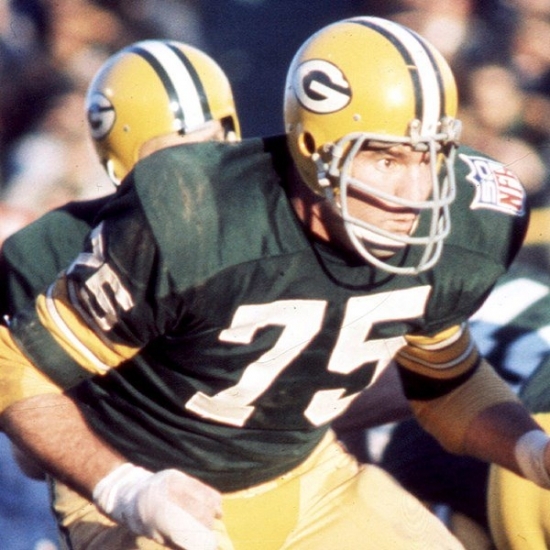 Playing at Right Tackle, Gregg would help the Packers win five NFL Championships (1961, 1962, 1965, 1966 & 1967) and the first two Super Bowls and in his final year in the NFL he helped the Dallas Cowboys win Super Bowl V. His individual accolades include nine Pro Bowls and seven First Team All Pros as well being named to the NFL 75thAnniversary Team and 1960’s All Decade Team. He would be inducted into the Pro Football Hall of Fame in 1977. Gregg would later be a coach in the NFL and would take the Cincinnati Bengals to their first Super Bowl. We here at Notinhalloffame.com would like to extend our condolences to the friends, family and fans at this time.